Down at the bottom are links to a bunch of swarms I have captured so please read to the end. 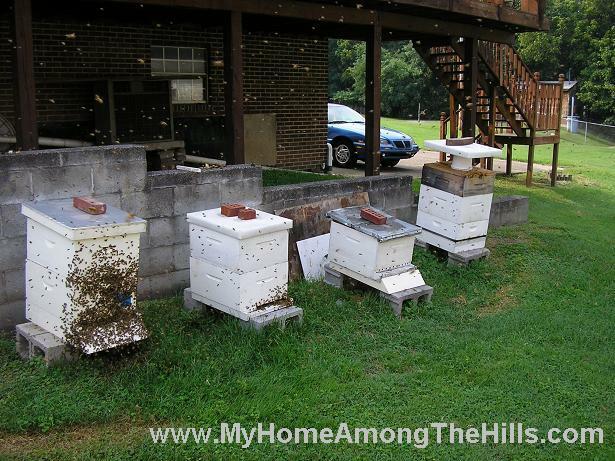 Immediately below is the tale of my first swarm (or maybe first few swarms). This is definitely not recommended at home but I couldn’t see just letting them go. 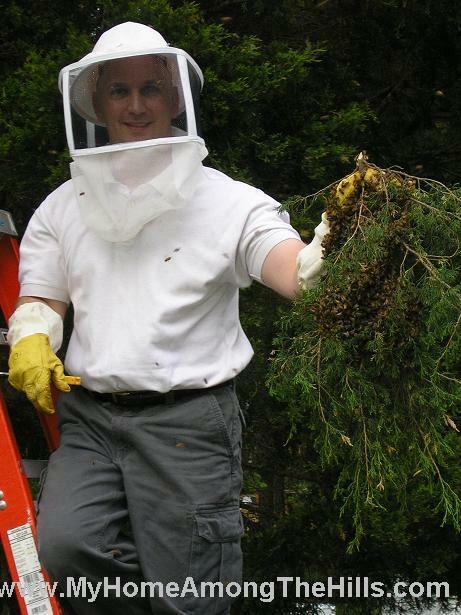 I had to reach into the tree with a hoe in order to bend the branch down far enough for me to cut it so I could carry the bees down. 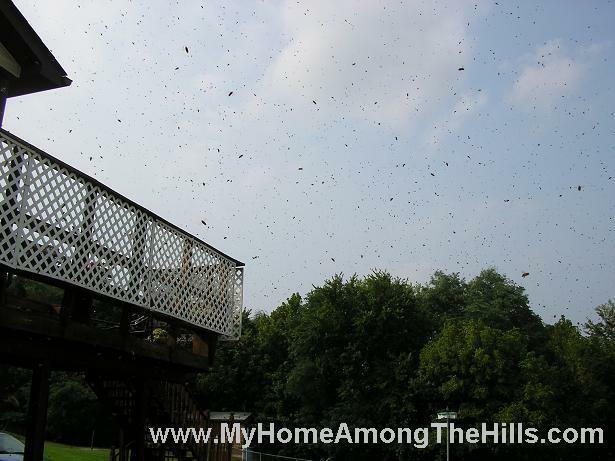 This swarm had me howling…I got a call and the guy had been mowing with a riding mower. 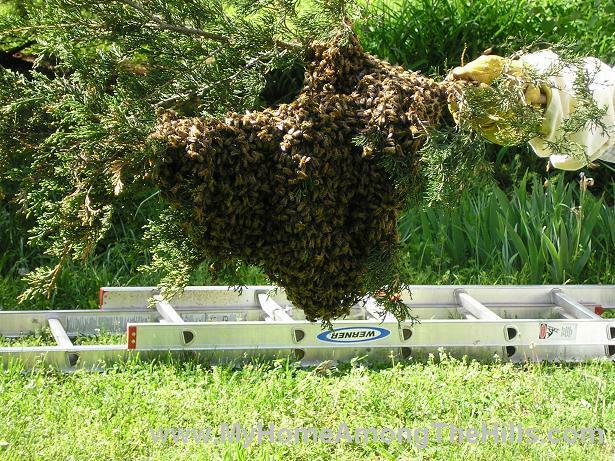 He was working around this tree in his yard when he came face-to-face with the swarm of bees. When I got to the house, I could see the mower track going around the yard. The path neared the tree then shot off in a random direction away from the tree. 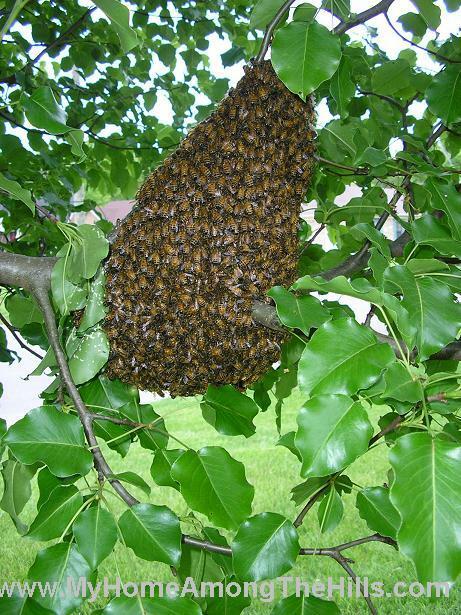 The swarm was about face-high-on-a-riding-mower in this tree and the owner had just experienced a close encounter! 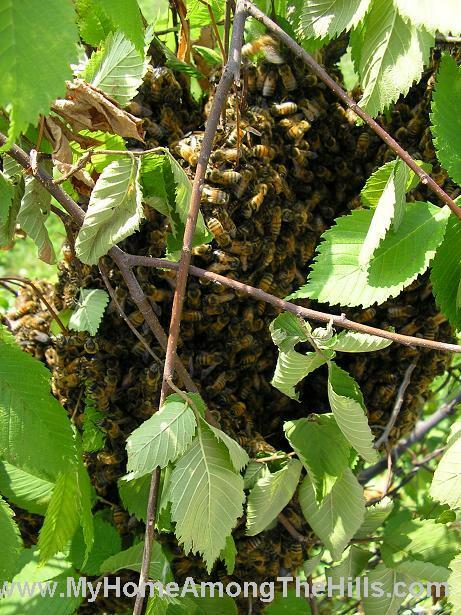 The bees took to the cedars again. This one was on a hot day so I decided to wear shorts. 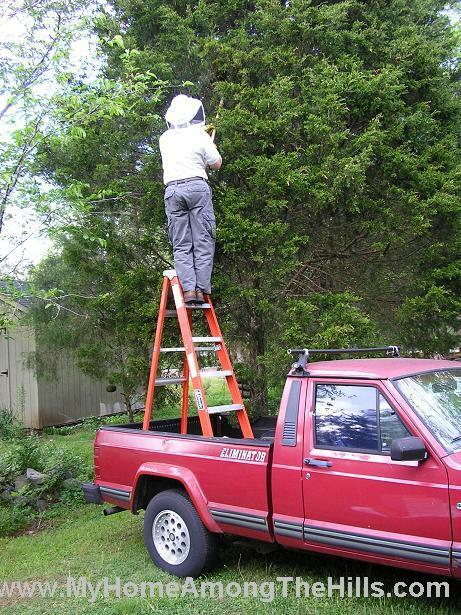 Like the ladder in the pickup truck, this is not necessarily recommended for home users. 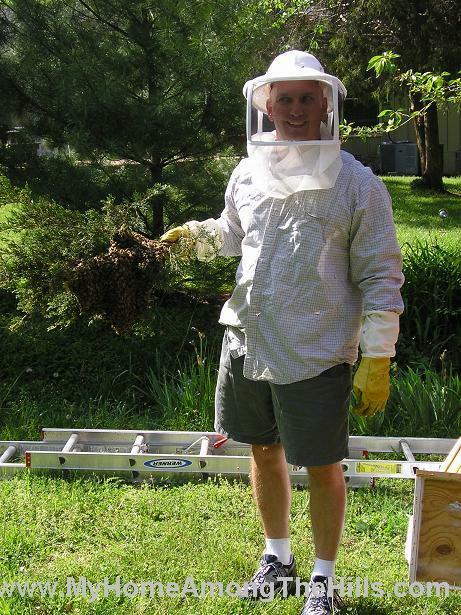 Remember, I play a beekeeper on TV! On a chain link fence…now that’s fun!